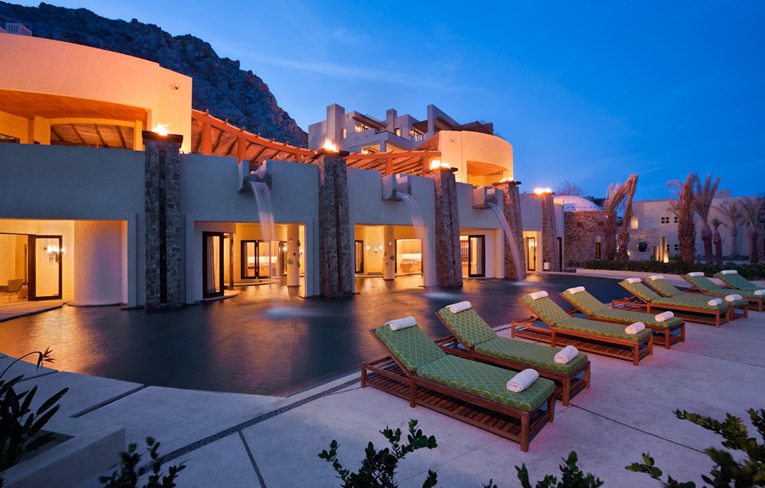 This incredibly dramatic entrance to Capella Pedregal deposits visitors at the resort's entrance courtyard, overlooking a long expanse of beach and the ocean. It leaves no question that you have entered a world apart. 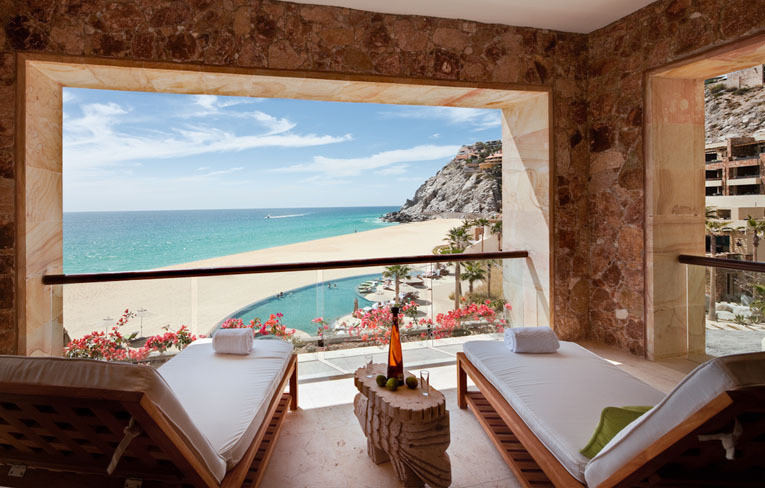 Capella Pedregal, the premier spa resort in Cabo San Lucas, sits on the southernmost tip of Mexico's Baja California Peninsula. Encompassing 24 spectacular mountainside and oceanfront acres, our luxury Los Cabos resort rests at the very point where the Pacific Ocean meets the Sea of Cortez, near the legendary rock formations known as Land's End. The beach resort is reached via the only privately owned tunnel in Mexico, Dos Mares. Carved through the heart of the mountain, the tunnel is a 300-meter long engineering feat that separates the town of Cabo from the Pacific Ocean. This incredibly dramatic entrance to Capella Pedregal deposits visitors at the resort's entrance courtyard, overlooking a long expanse of beach and the ocean. It leaves no question that you have entered a world apart. 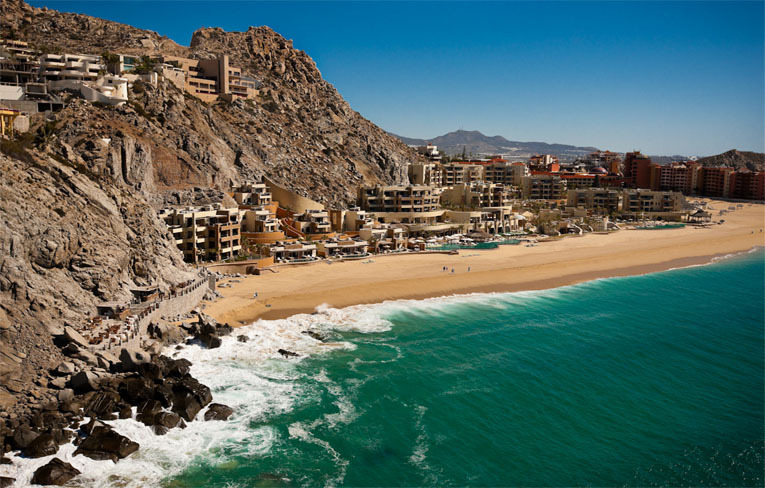 Enjoy immediate proximity to the world-class Cabo Marina at Capella Pedregal. Guests and residents who want to experience true "Cabo culture" will find the vibrant shops, dining and entertainment of Cabo San Lucas village all within easy reach by foot, bike, personal auto or resort valet. 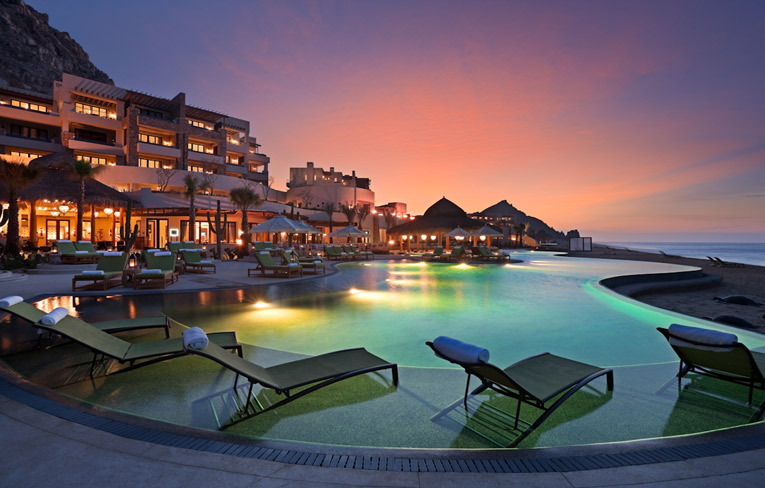 The 66-room Capella Resort and Spa is the flagship luxury beach resort of the newly unveiled Capella brand, and will be complemented by Cabo San Lucas villa rentals, 31 shared-ownership Capella Residences and 20 private, full ownership Capella Casonas. 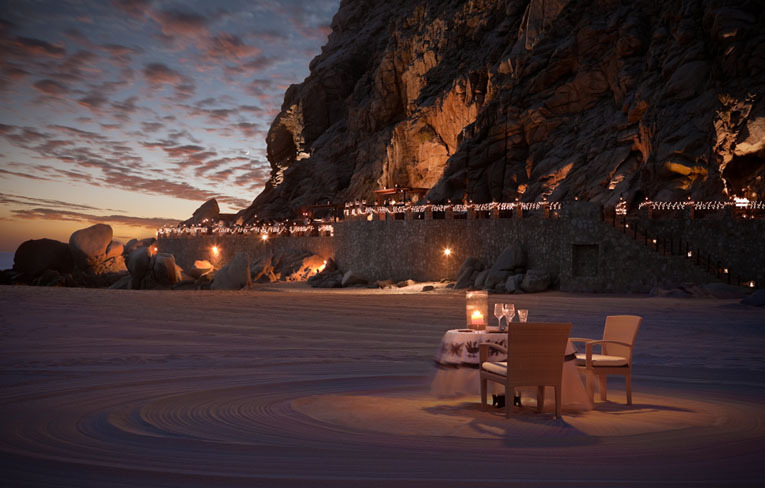 Capella Pedregal sits on the southernmost tip of Mexico's Baja California Peninsula. Encompassing 24 spectacular mountainside and oceanfront acres, the luxury beach resort rests at the very point where the Pacific Ocean meets the Sea of Cortez, near the legendary rock formations known as Land's End. The beach resort is reached via the only privately owned tunnel in Mexico, Dos Mares. As one would expect, Cabo San Lucas swimming is a favored activity. 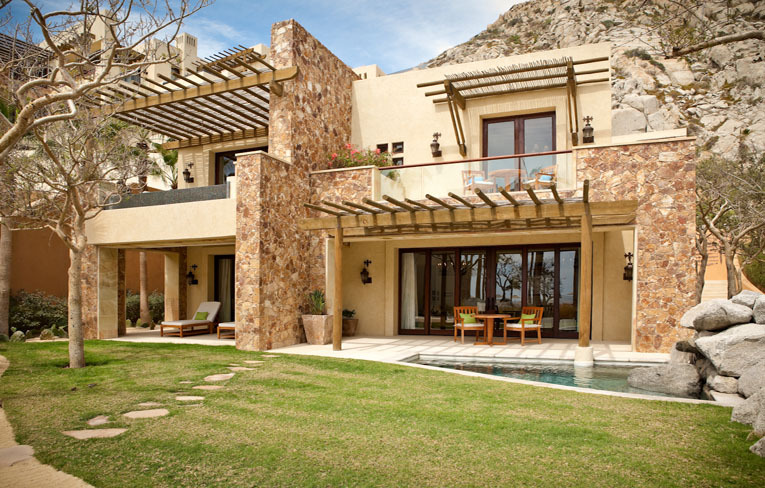 Capella Pedregal provides each guest accommodation with private plunge pools to cool off in, as well as four separate resort pools. Four pools including two infinity-edge ocean front pools, a rock formation pool and spa pool are for two adult and two children friendly locations. Every residence offers a spacious outdoor living space, two plunge pools designed with complete privacy in mind, a terrace that provides expansive outdoor living space, a fireplace or fire pit, and lounging and dining areas to complete the warm, personal atmosphere. Our beautifully appointed rooms all feature LCD televisions and wireless internet access. The ocean view Auriga Spa is ideal for pampering with 10 private spa treatment rooms fashioned into round pod-like dwellings opening into the outdoor spa pool. Enjoy a treatment together in our lavish couple's suite and extend your experience by indulging in spacious private facilities featuring a fill and drain bath tub and a private pool. 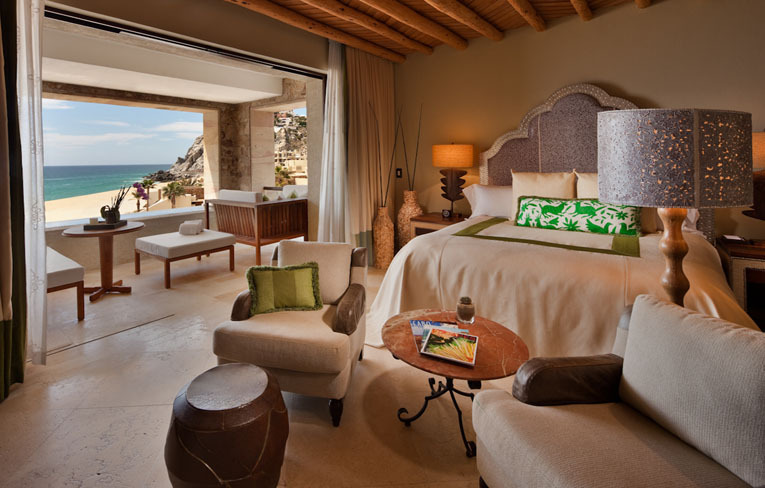 While staying in a villa rental at Capella Pedregal, your every need will be taken care of for you both pre-arrival and during your stay. We look after our residents with an intuitive nature, to make our guests' stays as comfortable and welcoming as possible. 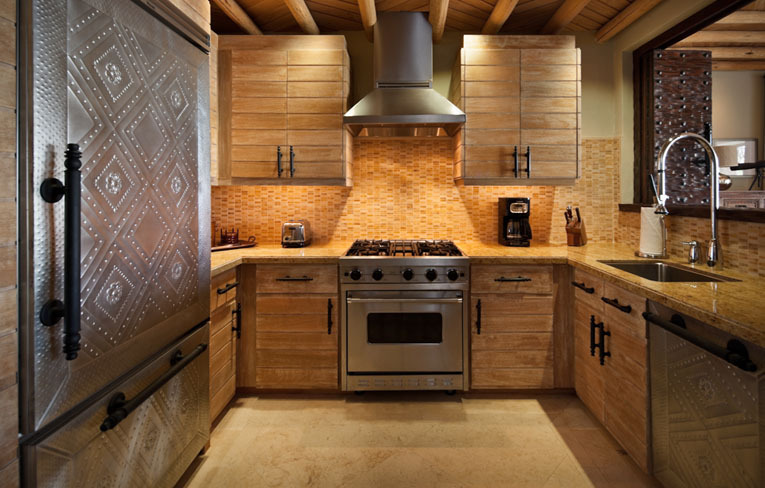 With an impeccable attention to details. Enjoy private dining in Cabo San Lucas on your room's terrace while overlooking the Pacific Ocean or dine beachside next to the warm glow of a fire, created especially for an intimate dinner. 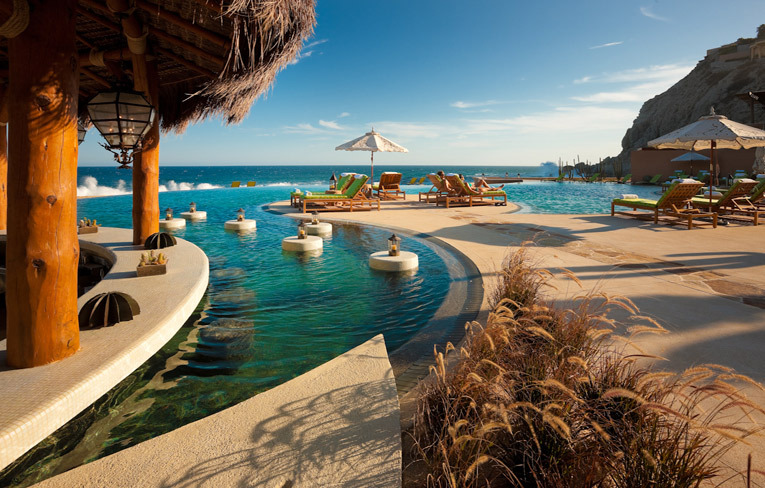 Capella Pedregal, the premier spa resort in Cabo San Lucas, sits on the southernmost tip of Mexico's Baja California Peninsula. Encompassing 24 spectacular mountainside and oceanfront acres, our luxury Los Cabos resort rests at the very point where the Pacific Ocean meets the Sea of Cortez, near the legendary rock formations known as Land's End.